Instant Orthodontics: Straighter Teeth. Instantly. 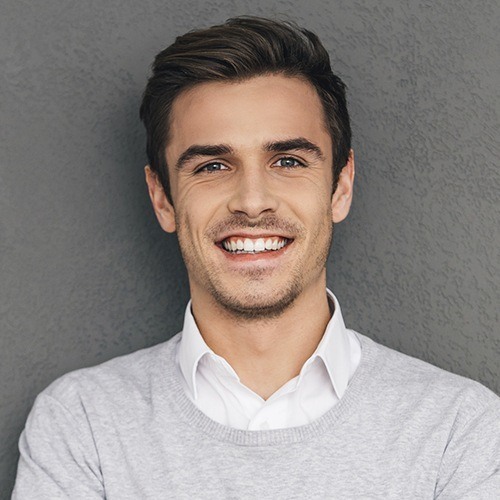 When most people think of orthodontics, they think of an expensive, time-consuming procedure involving braces, headgear, and other embarrassing appliances. But that is no longer the case! Instant Orthodontics accomplishes the same results as traditional orthodontics but in much less time and with no awkward appliances. Straight, even teeth can be yours in only a matter of weeks! What exactly is instant orthodontics? It's when thin, ceramic shells of material – called veneers – are placed over the front surface of your teeth. They're very natural-looking, and they are colored to seamlessly fit in alongside your natural teeth. Under the guidance of Dr. Alex Naini, your new veneers will be virtually indistinguishable from your real teeth. Plus, your new teeth will be just as durable as ever. There's really no downside. The typical Instant Orthodontic process involves four procedures over the course of about a month. The first appointment is an initial consultation with Dr. Naini. The procedure will be explained to you and a timetable will be determined. The second procedure is where the mold is made - the mold is used to create the veneers. During this second procedure, your teeth will be lightly shaved down (to accommodate the additional thickness of the veneers), and the mold will be taken. This mold is then sent to a dental laboratory. After approximately two weeks, you'll return to Dr. Naini, and the veneers will be bonded to your teeth. This is a relatively complicated process and can take several hours. The final appointment is a follow-up to ensure the veneers have bonded properly.